Looking through my wardrobe this morning I realised how much I love stripes. But then you can’t really call yourself a Blogger unless you have at least one Breton in your wardrobe. At the moment I seem to be drawn to them though. 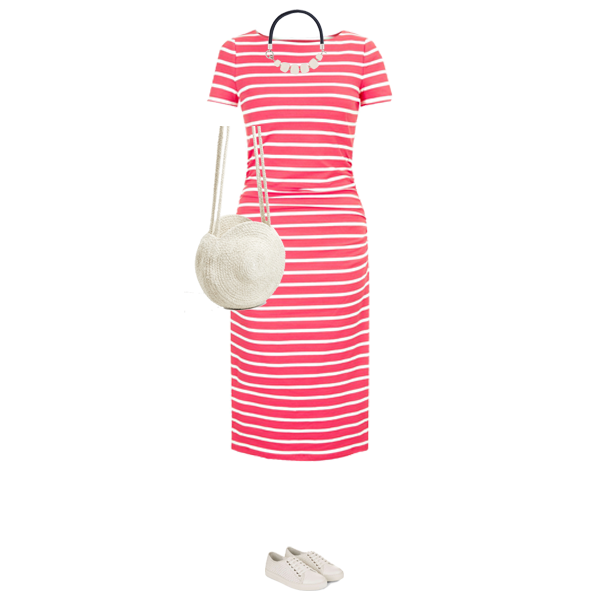 But Spring and Summer wouldn’t be the same without a fresh stripe to pair with white or navy. So I thought I would freshen up Monday morning with some stripes. Here are 3 of my favourite stripe pieces and how to wear them. What could be easier than throwing on a simple T-shirt dress? A stripe just makes it a little more interesting. For the weekends, or on holiday add a pair of trainers and this season’s must have basket bag. I absolutely love this skirt! It just says long Summer days to me, just add a white T-shirt and a pair of flip-flops for a casual look. 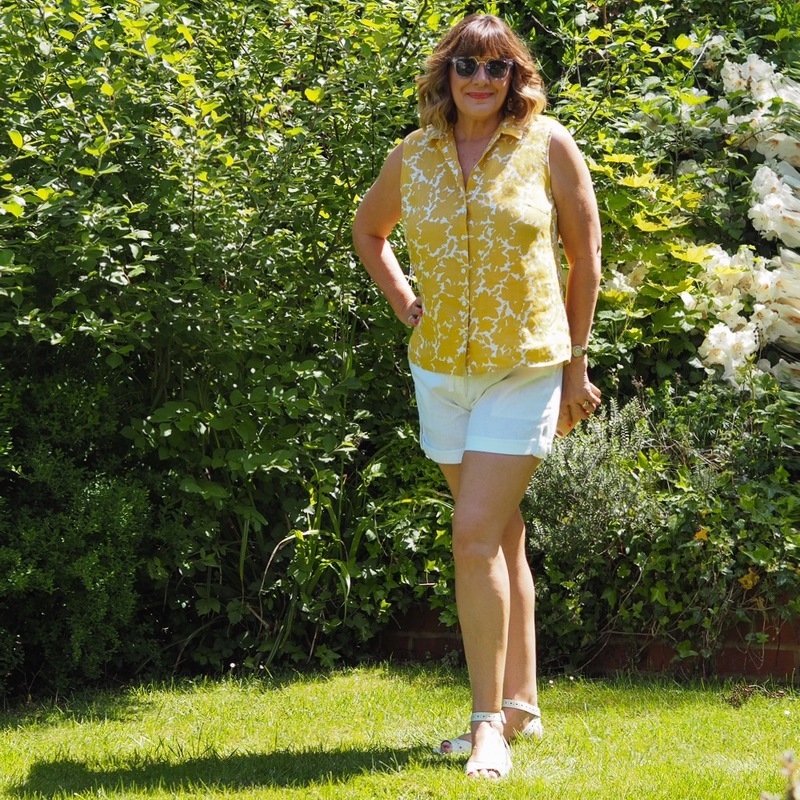 A pair of wedges (a Bargain in the sale) a toning necklace and some navy turn it into a chic Summer look. I’m sure most of us do have a Breton top in our wardrobe, so opt for something a little different. Far more feminine than a man style shirt, this one will show off your curves with it’s wrap shape and tie waist. 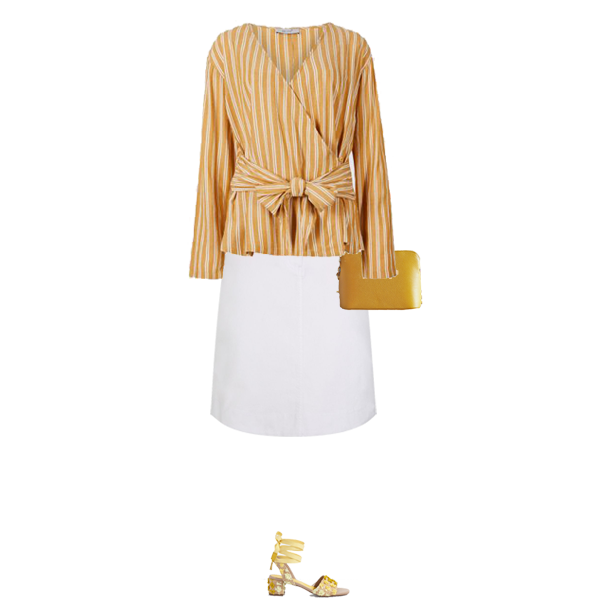 I’ve added a denim skirt in white (though a blue denim would look just as good) and yellow accessories.